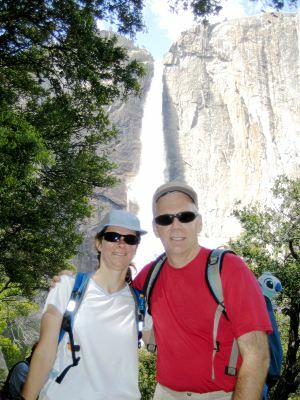 With Walt and Barb we visited the recently re-opened Lower Yosemite Falls area (the waterfall is new and improved! 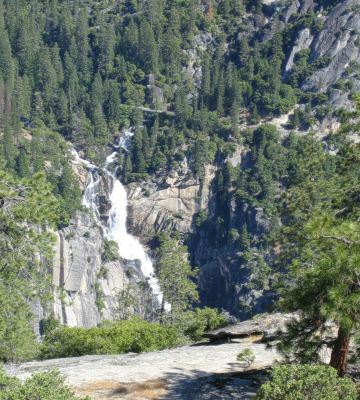 ;-) ), and then walked up part of the Upper Yosemite Falls trail to where we had a good view up the upper fall and some of the cascades. 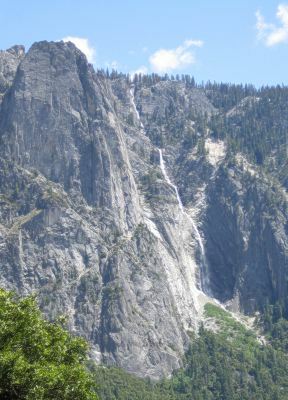 Tamarack Falls/Cascade Creek from the south side of the valley, just before the Wawona Tunnel. 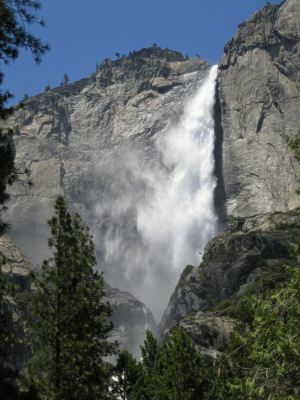 Upper Yosemite Falls, which is 1430' tall - lots of veiling in the wind. 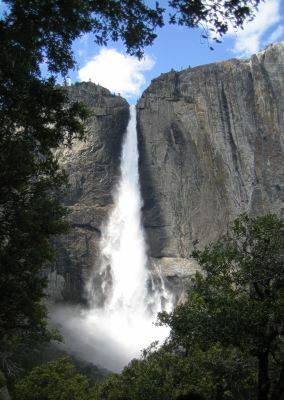 Lower Yosemite Falls, 320' tall. 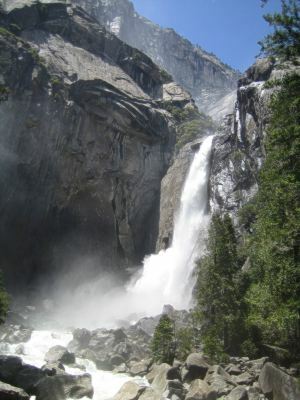 Lower and upper Yosemite Falls - lots of water this year! 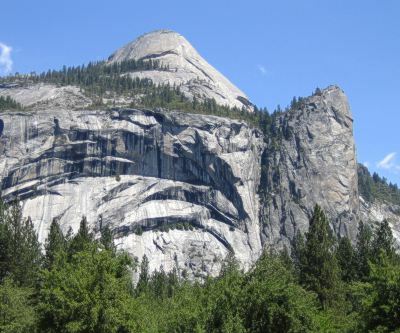 Sentinel Falls and Sentinel Rock - the falls dry up quickly and it's unusual to see them. 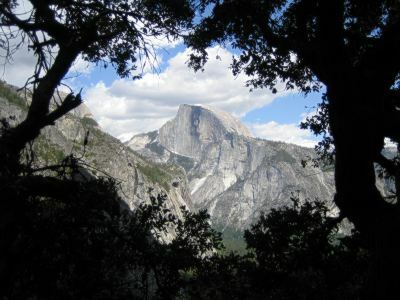 Half Dome from Columbia Point - 1 mile and 800' up the Yosemite Falls trail. 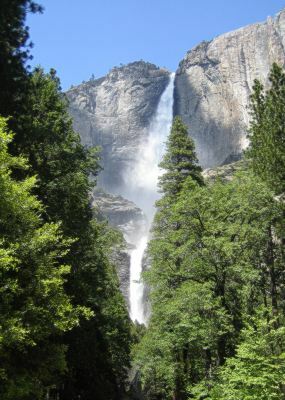 Another half mile up the trail, it turns the corner and there's a terrific view of Upper Yosemite Falls. 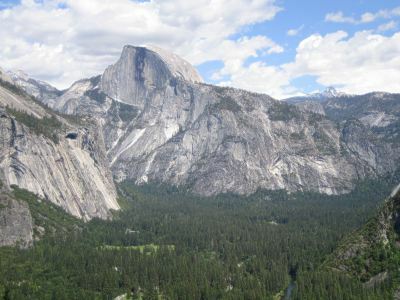 ...And a nice view of Half Dome, also. 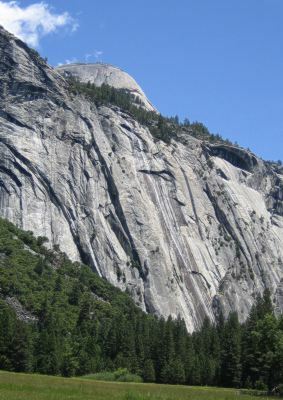 Royal Arch Cascade - another not-normally-seen waterfall, with North Dome barely visible at the top.